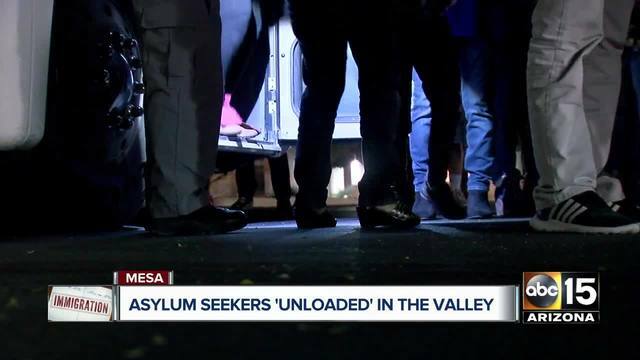 PHOENIX - Immigration and Customs Enforcement agents have released more people seeking asylum in the United States from custody, citing a shortage in space. 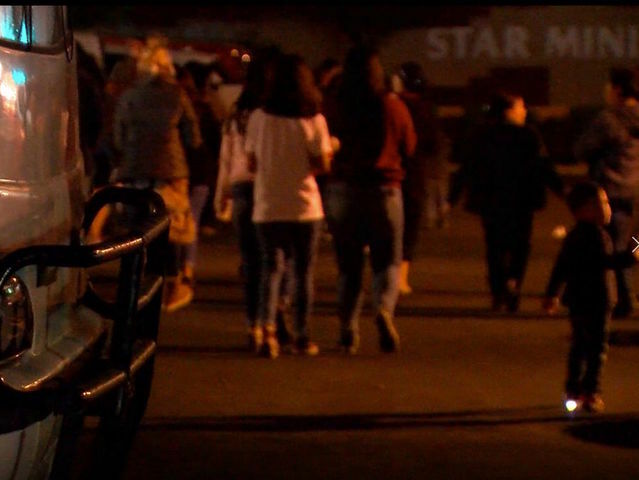 The release comes as thousands of people fleeing violence in Central America as part of a migrant caravan are beginning to arrive in Tijuana, hoping to enter the U.S. and claim asylum here. Earlier this year, federal officials released several hundred families to relatives, church groups or other organizations due to statutory limitations on how long people can be held in custody. "These people, they don't speak English they don't have any money, and they are in another country and they don't have a cell phone to call their relatives," said Magdalena Shwartz, who works with churches and ICE to help find places to stay until relatives can pick up those the government releases. For families detained by immigration authorities, under a settlement agreement and subsequent decision, unaccompanied children or families can only be held in custody for 20 days before being released while their cases work their way through immigration courts. Pastors at a church in Mesa said they recently received a call from ICE asking if the church could help at least one hundred people, who were dropped off Tuesday. Others were given a bus ticket and dropped off at a bus station near 24th Street and Buckeye. "They don't have another option," Shwartz said. "They cannot keep the people detained there for a long time, because they are getting more people." Multiple attempts to seek comment from Immigration and Customs Enforcement on Tuesday's release were not returned. Those who are ultimately granted asylum by a judge are allowed to stay, while those whose applications are denied will be deported. Drop them off home where they can speak the language, have their own President and can GO HOME to their relatives there. STOP DUMPING THEM IN OUR STREETS AND ON OUR BACKS TO PAY FOR! DHS continues to make a liar out of Trump or Trump knows the facts and continues to lie knowing full well what's going on. Of course he's done that before and continues to do it on the border WALL he says he's building. Where are those huge tent city detention centers that were supposed to have been built along the border. Either they aren't getting built or they are not large enough! I doubt all those being released have children and even if they do, catch & release needs to be ended now! "Earlier this week President Trump said his administration is no longer releasing migrants from custody. "We're going to catch," he said. "We're not going to release." Last edited by MW; 11-28-2018 at 03:54 PM. Beezer and Scott-in-FL like this. Do people not understand the difference between a DHS release and a Court-Ordered Release? Apparently not. stoptheinvaders, Judy and MW like this. Exactly! Do we ever see any reports about those denials being immediately deported? I haven't. All I see is reports about bus loads being dumped here, there, and all over. I suspect the denials are in those bus loads also.